SPECS: Fits Savage Accutrigger rifles. Will not work on the Savage A17 rifle and Accutrigger. Adjustable from 1.5-4lbs. Dane techniczne: Pasuje do modelu Savage Accutrigger karabiny. Nie będzie działać na Savage A17 karabin i Accutrigger. Regulowany od 1,5-4 funtów. Installed this trigger in a Savage Lightweight Hunter. It required a little dremel work inside the stock to allow full trigger travel. This was done were the rear of the trigger sits. 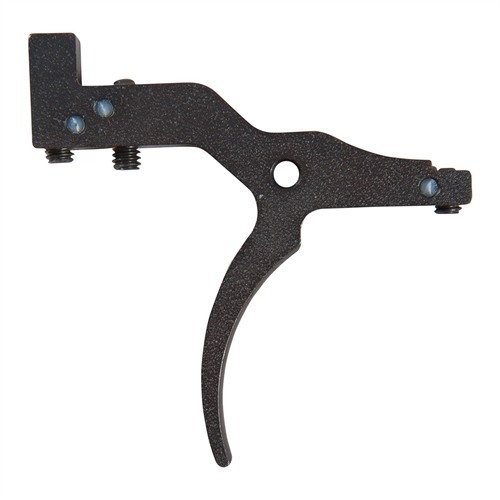 The difference between this trigger and the factory trigger was night and day. Make sure you follow the directions on the adjustment of this trigger to prevent an unsafe condition. Be sure to test it many times before loading. It's more than worth the money and pretty easy to install. I would definitely buy another if I had another accutrigger rifle. I had trouble adjusting my Timney Trigger 638 in my Savage 16 LWH (with Accutrigger). The firing pin would release when I closed the bolt. I fixed it by screwing the sear screw out to a half turn from firing-pin-release instead of the 1/6 turn as instructed. Also, I screwed the safety setscrew in until I felt resistance, then I backed it out by 1/4 turns until the safety started working correctly. I also modified the rear trigger guard screw mounting boss molded into the Savageâs stock to allow adjustment of the trigger pull force with the barrel and trigger mounted to the stock. I took about 1/8â off the top of the boss to clear the trigger pull force adjustment screw. 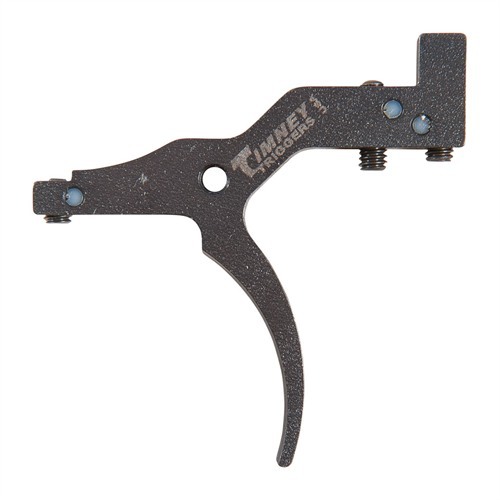 There was interference between the Timney trigger and the top of the Savage trigger guard, keeping the pull force from being consistent. I removed the Timney trigger and ground clearance on the bottom front corner of the Timney trigger and shortened the sear screw by 0.050â allowing it to be a little below flush (and not interfere) when correctly adjusted, and polished the business end of the setscrew. All now works well, including a consistent pull force of 1.2 pounds. Much better than the factory trigger. I wish I had read Tom's review before I started. I wound up doing all the same things to get around obstacles in the stock, but I sure could have saved some time if didn't have to figure out the problems for myself. I rated the trigger accordingly. I think Timney could have done a little research and prevented the problems. Shorter adjustment screws, angle the front of the trigger on the trigger guard side to avoid the bolt release, etc. Plan to do some Dremel work on the stock for clearance. Otherwise easy to install and better than factory. See other reviews.